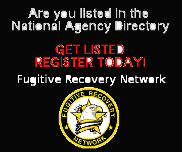 Today marks the TWELVE YEAR ANNIVERSARY of Fugitive Recovery Network! Hard to believe that it has already been that long. 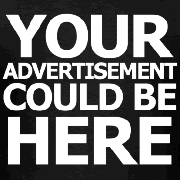 When this website was first created there was no other website like it available in order for Bail Recovery/Apprehension Professionals to network. In that time we have seen some sites come and many of those are gone. I would like to say a big THANK YOU to all our members past present and future - because it is because of you that this website is still around and continues to attract attention! Over the years this website has expanded and many changes have been made. However, the main goal has always remained the same: To permit professional industry members to collaborate with each online - through the discussion forums, wanted section and agency directory - for fast, efficient, and simple exchange of information. I would gladly welcome any and all suggestions for the improvement of this website. Again thank you and look forward to serving and assisting you. Post subject: Re: FRN Anniversary! well HAPPY BIRTHDAY TO ALL OF US ! Thank you SYSOP for all that you do . . . even when folks think that you are doing nothing You may not always be in the forefront but you have always been there to make sure that we do not really beat the hell outta one another . . . too awful bad . . . Thank You 'Daddy' ! This Family appreciates you !